Mahmoud Abbas complains of Israeli settler colonialism in the Palestinian West Bank and warns of the ethnic cleansing of Palestinians from Israeli-occupied East Jerusalem. The speech, at the UN General Assembly, did not get the same coverage on US television news, let us say, as that of Israeli PM Binyamin Netanyahu. All the time Netanyahu was in the US and on US media no one asked him about the flood of Israeli settlers into Palestinian territory or the attacks by militant Israeli settlers on Palestinian homes, farms, and mosques. 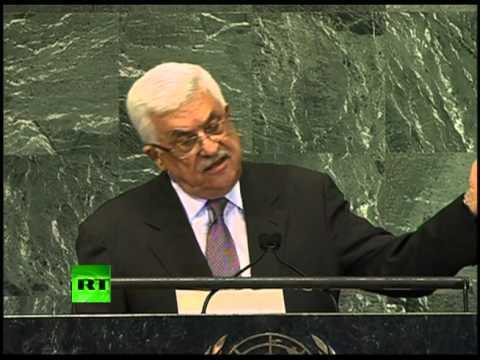 Mahmoud Abbas honestly points out that such actions fuel violence on both sides.